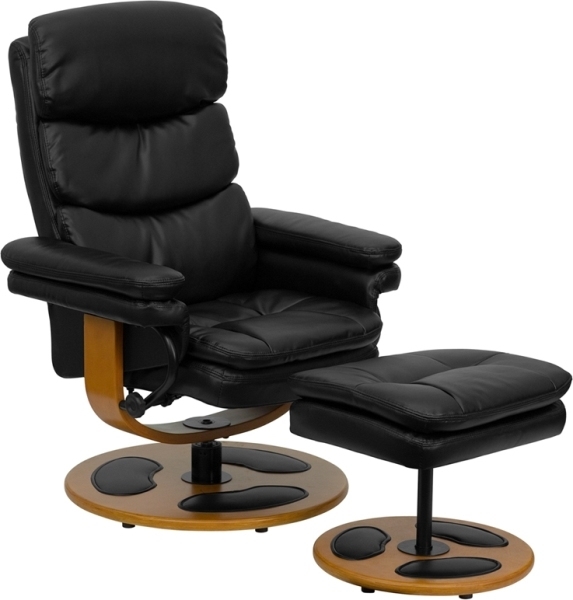 A discount priced leather recliner from our large selection of furniture. This recliner and ottoman combo features a wood base with floor glides and a swivel seat. Free shipping is always available, all at a discount furniture price.